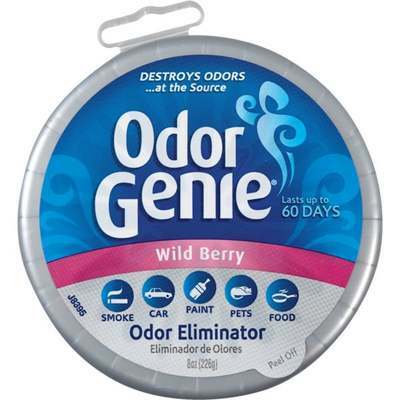 Odor Genie is a solid gel with a layer of charcoal that absorbs and eliminates odors unlike many air fresheners that only mask odors temporarily. Immediately after you open the container, Odor Genie's unique formula will begin to dissipate into the air, neutralizing odors and pollutants, creating fresher, cleaner, odor-free indoor air. Odor Genie is nontoxic, biodegradable, and environmentally safe. Use it in your home, automobile, office, RV/camper, boat, storage area, gym locker, garage, or basement. Great for eliminating smoke, paint, pet odors, and more.